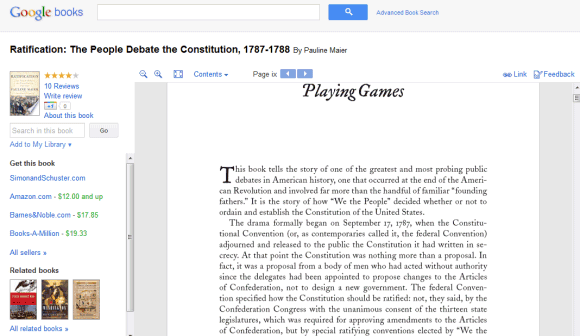 Google Books is the latest Google service with an updated interface that's cleaner and more consistent. Unfortunately, this means there's more white space and less space for books. For example, on a 800x600 resolution almost two thirds of the screen are used for navigation elements. Even if you click the "full screen" button, Google still displays the navigation bar, the search box and the toolbar buttons, while hiding the sidebar and the book's title. It's clear that the new Google+ interface is not suitable for all Google services and consistency sometimes makes Google's tools less useful. Displaying the navigation bar and the search box takes away valuable space and this is especially noticeable if you use a netbook. The new interface is not flexible or elastic, like Google intended. "The new design will soon allow you to seamlessly transition from one device to another and have a consistent visual experience. We aim to bring you this flexibility without sacrificing style or usefulness," explained Google. It seems that the new design sacrifices usefulness for the sake of consistency. This is obviously just the first pass of the first layer of paint of you like, they will be optimized for each service after this initial change. I don't think it takes usefulness away since it is the design for desktop pc's. People won't spend their time reading books on the desktop, they'll use this plataform for buying and organizing their books. People will read on tablets, and we need to take a look at the reading ease at this plataform. 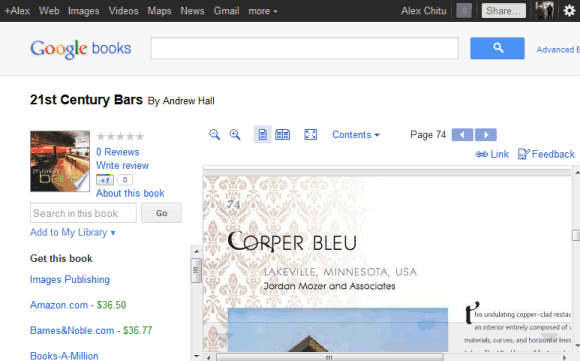 For desktop I think Google made it easier to find and organize books with the new G+ layout. You are right Alex. Whatever you said is aboslutely 100% accurate. Usefulness is actually sacrificed for the sake of consistency. > it feels like I have two internet explorer toolbars installed blocking my window real-estate. It is a shame, instead of freshening up the various google sites, the refresh makes them look more neglected. This bothered me enough to make me write a small Greasemonkey script to fix the full-screen button on google books. I really appreciate this post. The Google Books interface is poor--reading such a small portion of each page is onerous and necessitates continual scrolling. 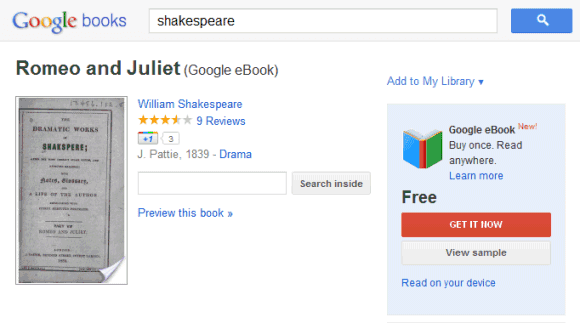 But the beauty of a book--as opposed to a database--lies in its browsability, which Google seems not to understand. Searching within the book is awkward, as the box is remote and be default contains the original title. All in all, it's distressing that an important initiative so loudly trumpeted has such a dismal design.